In our thirty-ninth episode, we are joined by a very special co-host, Suzanne Sheldon of Board Game Breakfast & Blender. We do a Survival Kit about Crit Hit Cermamic Dice and talk about the games we have been playing lately. We also review the drafting city building game Between Two Cities, and discuss Board Game Apps. In our thirty-eighth episode, we make a correction from Episode 37, we have another Survival Kit segment about the new subscription box service BattleBin, and we talk about the games we have been playing. 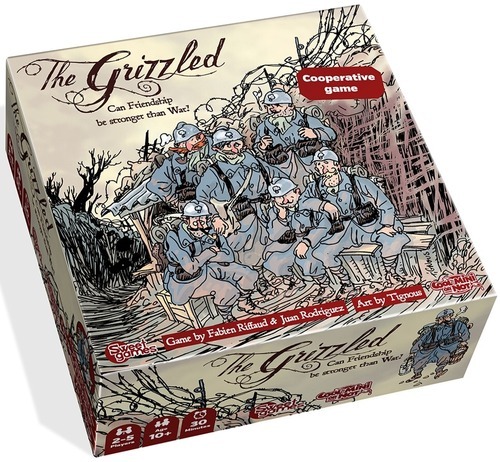 We also review the cooperative World War One themed card game The Grizzled, and we have the sixth session of Boards Alive Plays: Dungeons & Dragons 5th Edition.